Peace of mind is guaranteed with our warranty partners AutoProtect. Their 35 years of experience in one of the most competitive sectors of the motor industry enables them to provide a range of bespoke warranties tailored to your needs. Although it’s true that modern cars are becoming increasingly reliable, it’s also a fact that mechanical and electrical components are more expensive to replace when they fail. AutoProtect policies are designed to help with bills run up when expert repair is required. In the event of an approved claim, AutoProtect will pay towards parts, labour and VAT. There are terms and conditions but there is no excess and no limit to the number of claims you can make during the life of the policy. If you feel you need a warranty, just talk to us and we’ll steer you in the right direction. The bodywork on your shiny new car gets chipped, dented, scratched or scuffed? Let’s face it, every-day wear and tear like this is hard to avoid, no matter how careful your are. With AutoProtect’s SMART Protect, whenever you need to, just contact our Customer Service team who will arrange for one of our expert mobile technicians to come to you, at home or at work, whichever you prefer. 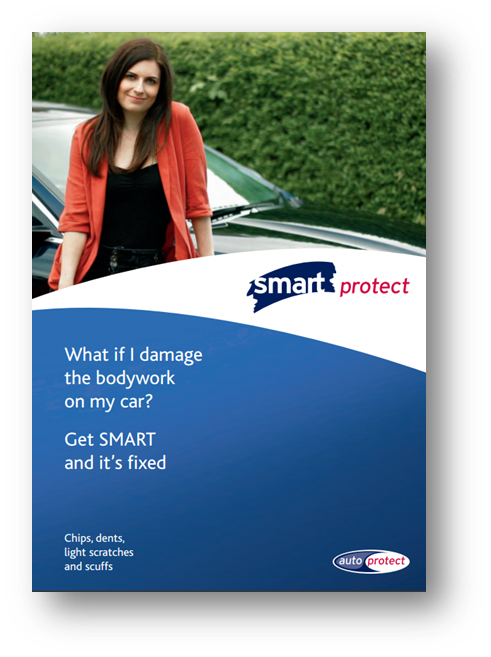 The best way to submit your claim is via our SMART app but if your prefer you can go online or give us a call. With state-of-the-art repair technology, any chips, dents, light scratches or scuffs to the bodywork will be erased on the spot. All work is guaranteed for three years, and the streamlined claims handling procedure is the best in the business.